Stop by our booth to meet the team and get lots of freebies. The Bodybuilding.com Spokesmodel Search finalists will also compete on stage for the title! TheFitExpo LA is one of our favorite shows of the year—in fact, we love it so much that we’ll crown our 2016 Bodybuilding.com Spokesmodels there! This is your chance to pick up the best swag in the game, including T-shirts, samples of your favorite supps, and other free gifts. You’ll also have a chance to meet your favorite TEAM Bodybuilding.com athletes and grab an autograph. When you’re done, see some of the top up-and-coming athletes at the 2016 Bodybuilding.com Spokesmodel Search competition—we’ll be crowning our two newest winners during TheFitExpo! 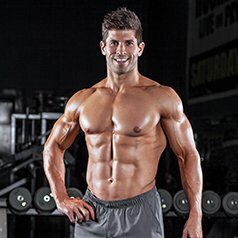 Kris is a Bodybuilding.com athlete and spokesmodel, and his Bodybuilding.com training plans have helped tens of millions of people around the globe transform their bodies. He is also the author of the best-selling “Body by Design” and has written and photographed for countless publications. Kris recently debuted Kaged Muscle, a line of premium supplements forged from years of scientific research and grueling training. 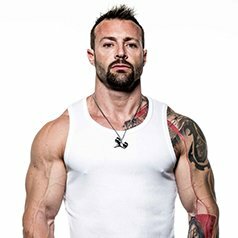 As Director of Trainers for Physique Global, he educates personal trainers and celebrity clientele around the globe. This charismatic fitness model specializes in krav maga and tae kwon do. He credits weight training with helping him become faster, stronger, and leaner, making him an unstoppable force on the mat. 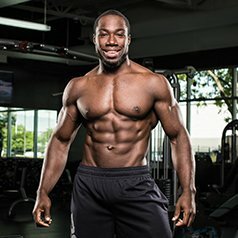 Kizzito is also the creator of the recent Chiseled Training Program on Bodybuilding.com. Brian’s decision to don a pair of boxing glove led to 40-pound weight loss and the realization that fitness was his passion. 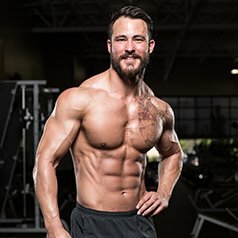 He gave up everything to purchase a boxing club and has been an inspiration since becoming the 2013 Bodybuilding.com Spokesmodel Search male winner. Kathleen is the perfect mix of brains, brawn, and hard work. She holds down a full-time job while maintaining a high profile in the fitness world as a TEAM Bodybuilding.com athlete, NASM Certified Personal Trainer, and ambassador for JayBirdSport.com. Ashley is a widely recognized and passionate proponent of the fit life. She’s a triathlete, a magazine columnist, founder of the Unbroken Movement Foundation, and creator of Becoming Extraordinary e-book trainers, Transform You Challenges, SledPups.com, and much more. Our Spokesmodel Search 2015 female winner Kristina Olson is a former singer-songwriter who won over competition judges with her mix of brains, determination, and chiseled features. Bodybuilding.com fans know her well thanks to her inspirational pics and insightful articles. Raynor’s journey has taken him halfway around the world—and landed him as our Spokesmodel Search 2015 male winner! Raynor hails from American Samoa but has trained in New Zealand and now Colorado. 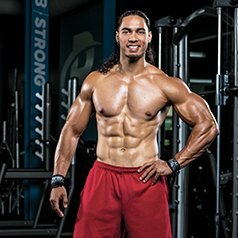 He loves to share his passion for health and fitness—especially with his fellow Polynesians. Steven had a Coast Guard career and always loved sports, but he was inspired to get big by a bodybuilding friend and co-worker. He placed second in his first competition and was hooked. He has overcome a debilitating arm injury and emerged stronger than ever, inspiring others along the way. Despite being a soldier in the U.S. Army and a cardio queen, our 2014 Spokesmodel Search female winner didn’t achieve the body of her dreams until her husband introduced her to the iron. Fitness and competing are a family affair for Chassidy and her husband, Antonio. Sean served in the United States Air Force for six years. There, he gained the confidence and discipline that would propel him forward in lifting and in life. Sean has had the opportunity to travel around the country and speak with hundreds of people about how they can benefit from a healthier lifestyle. You can find everything you need to know about tickets, competitions schedules, exhibitors, directions, parking, and more on TheFitExpo website. TheFitExpo is California’s largest fitness weekend and features over 700 booths, 19 incredible competitions, celebrity athletes and experts representing all aspects of health, fitness, sports, and well-being. TheFitExpo provides a vast array of programming elements all under one roof including; Group Exercise, Fashion Shows, CrossFit, Martial Arts, Kids Zone, and the Healthy Eating & Living Pavilion... to name but a few! Attendees can participate in competitions, shop, learn and even take classes all for one low ticket price. We strive to always be on the cutting edge of fitness by introducing new concepts and ideas to our audience. And this year for the first time ever, we’re adding a 5K Run to the program as the start of a new endurance training programming track. Click to download this coupon, print it out, and bring it with you to TheFitExpo to save $10 off your admission each day!